Finish Him! From the popular video game franchise Mortal Kombat comes a series of 5 1/2-inch action figures. With 5 points of articulation, your player of choice even includes character specific accessories. 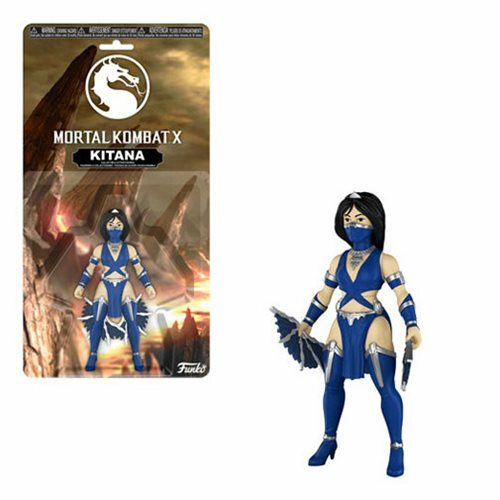 This Mortal Kombat Kitana Action Figure comes packaged on a blister card. Ages 8 and up.